Lisa Patton spent over twenty years in the music industry before discovering her passion for novel writing and is now the bestselling author of Whistlin' Dixie in a Nor'easter and Yankee Doodle Dixie. Both novels have been featured on the Southern Independent Booksellers Alliance (SIBA) Bestseller List, and in 2010 Lisa was selected by Target as an Emerging Author. Born and raised in Memphis, Lisa spent time as a Vermont innkeeper until three sub-zero winters sent her speeding back down South. When she’s not writing Lisa guides walking tours of Historic Downtown Franklin, her hometown in Tennessee, and also writes for Southern Exposure Magazine. Lisa is the proud mother of two sons and a little Havanese pooch named Rosie. Teresa Hall signs God's Amazing Apples. ; D. B. Henson signs Deed to Death. ; Janice Lynn signs The Doctor's Damsel in Distress; Flirting with the Society Doctor. ; Lisa Patton signs Yankee Doodle Dixie. ; Weldon Payne signs It's Almost Tomorrow. ; Mary Rigsby signs The Story of Mount Carmel. ; Sheila Robertson signs Alzheimer's...There is Hope: A Biblical Perspective. ; Michael Shoulders signs Say Daddy! ; V is for Volunteer; N is for Natural State; Count On Us. ; Sarah Raelene Taylor signs It Had to Be Fate. ; Elizabeth Terrell signs Racing the Devil. Lisa Patton discusses Yankee Doodle Dixie. Lisa Patton on tour for Whistlin' Dixie in a Nor'easter. Lisa’s fourth novel, RUSH, set inside a fictional sorority house at Ole Miss, provides not only a gaze inside the most exclusive sorority Recruitment in the country, but at the relationships between the sisters and the staff. Born and raised in Memphis, Lisa spent time as a Vermont innkeeper until three sub-zero winters sent her speeding back down South. 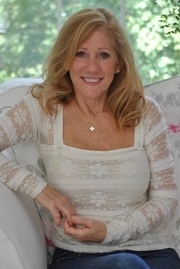 Currently at work on her fifth book, Lisa is the proud mother of two sons and a little Havanese pooch named Rosie. She and her husband live in Nashville, Tennessee. To learn more about her, you can visit Lisa’s website at www.lisapatton.com. Lisa Patton is a LibraryThing Author, an author who lists their personal library on LibraryThing. Lisa Patton is currently considered a "single author." If one or more works are by a distinct, homonymous authors, go ahead and split the author. Lisa Patton is composed of 2 names. You can examine and separate out names.